B2B spending on IoT technologies, apps and solutions will reach $296.8B by 2020 accordingly to a recent study and the potential of the Internet of Things (IoT) to transform industries has led to its widespread adoption across various industries and enterprises. However, the complexity of integrating IoT with enterprise systems and back office applications presents challenges as nearly every solution in the market tackles the problem by architecting solutions for specific use cases, thrusting multiple IoT products and fragmenting an enterprise’s ecosystem. Enterprises today are looking to adopt cloud technology and leverage the power of IoT’s integration with devices, hardware, and sensors as well as ensuring data is fully integrated with enterprise systems. Driving businesses with transparency, speed, and agility, Clovity provides end-to-end IoT solutions from device-to-cloud-to-enterprise integration. “We offer frameworks that accelerate complex implementations through our four pillars of expertise—embedded IoT, Cloud, Data, and Digital,” states Anuj Sachdeva, CEO of Clovity. With a global leadership team comprising experts in deep enterprise consulting, leading IoT products, and industry agile experts, Clovity has designed a framework for agile development called ‘Synthesis’. Synthesis ensures flexibility in accommodating market dynamics, faster project deployment, and higher visibility while driving customer satisfaction. “We assess the end-to-end integration both from business technology and architecture requirement perspectives with the outcome to simplify building Internet of Things (IoT), Data, Cloud and Digital solutions for our customers,” adds Sachdeva. Clovity’s comprehensive IoT offering for enterprises encompasses embedded device development, the entire cloud strategy, including cloud migration, assessment, and provisioning, along with data analysis and data engineering as well as Machine Learning (ML) and Artificial Intelligence (AI) capabilities. The company also manages the digital front-end including mobile applications, online applications, and backoffice integration. 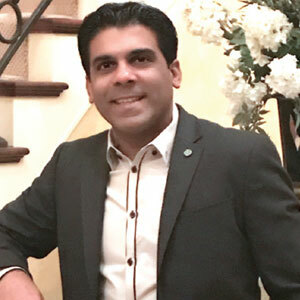 “When deploying IoT solutions in complex environments, enterprises demand scalability and flexibility, which cannot be met by single products,” states Sachdeva. Clovity ‘CSensorNet’, a plug and play framework, helps overcome such challenges and also accelerates the delivery of projects by a minimum of 30 percent. The CSensorNet framework integrates with any device or hardware and transfers data to the cloud. Additionally, ‘CDataInsights’, the latest offering from Clovity, is a framework that helps cleanup the data accumulated in the cloud for assessment and analysis. Possessing the ability to engage with clients on multiple levels, Clovity is focused predominantly on Banking and Fintech, Healthcare, Retail, and technology-driven industries. Clovity recently partnered with Kenzen, a leading healthcare predictive analytics company, to help develop IoT and Cloud solution for “Kenzen Patch,” a biosensor device that monitors personal health and safety. Similarly, Clovity is enabling one of the largest restaurant and drive-through system and technology enterprise, specializing in communications, audio and software solutions, with their IoT strategy—helping them transition from a legacy system to a state-of-the-art cloud data digital system. Due to increasing IoT adoption across industries, large amounts of data is being generated, which translates to bigger security concerns. To address this issue, Clovity has been focusing on ensuring end-to-end data security across their customer implementation and are continuously expanding their IoT Security practice. The company is also developing solutions that leverage Blockchain and IoT to automate business processes and reduce costs. Providing plug and play IoT solutions and frameworks, “Clovity is committed to innovation—helping enterprises achieve successful digital transformations through disruptive solutions by following an agile development framework,” concludes Sachdeva. Selected as Global Top 20 IoT Solutions Provider for 2017 & 2018 by CIO Magazine. Thinking "Agile | IoT | Embedded | Data | ML | AI | Cloud | DevOps | Digital" - Clovity a global Solutions Partner and Systems Integrator focused on transforming enterprises worldwide. Clovity's technology and teams are helping Fortune 500 enterprises and high growth mid-market technology enterprises with fully integrated device-to-cloud-to-enterprise integration solutions with the outcome to simplify building your Internet of Things (IoT), Data, Cloud & Digital platforms to power tomorrow's Enterprise world. Clovity's cognitive strength lies in the amalgamation of two powerful ideas - collaboration and transformity. Clovity emphasizes on combining thought leadership, innovation and passion for technology together to achieve successful transformation and 'disruptive solutions' for Banking Finance, Healthcare and Retail industries that are IoT, Cloud, Consumerization and Big Data' focused. Clovity's commitment to innovation has led to many Plug and Play solutions and frameworks in IoT (CSensorNet), Predictive Analytics (CDataInsights), DevOps, Mobility etc. that enables customers for faster time to market product launches. Clovity underpins its solutions with 'deep Agile expertise' by leveraging its Agile Framework: Synthesis in every aspect of customer journey to ensure complete collaboration and transparency. Clovity key is to work in absolute synchrony with customers to deliver solutions and projects to create scalable technology foundation and architecture for all future advancements.